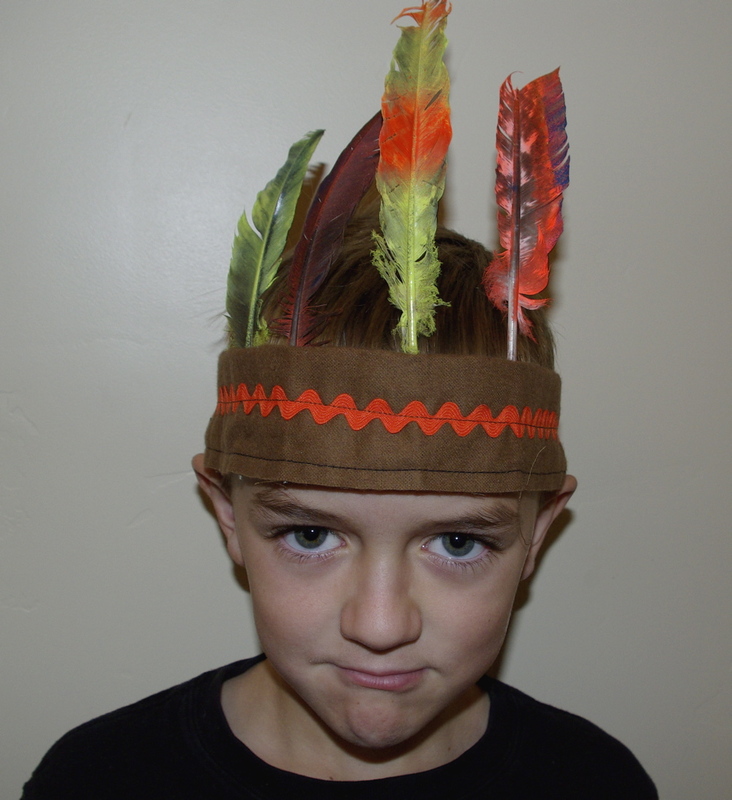 I had to make 12 or so native American Indian headbands for the 2nd grade Thanksgiving play, here’s what I came up with and how to make one for yourself. 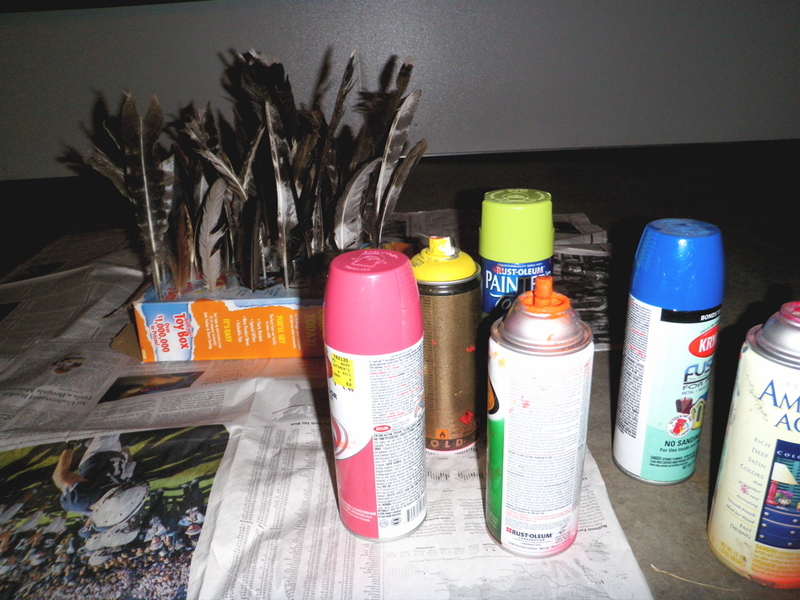 I started by spray painting the turkey feathers I’d been given to work with. 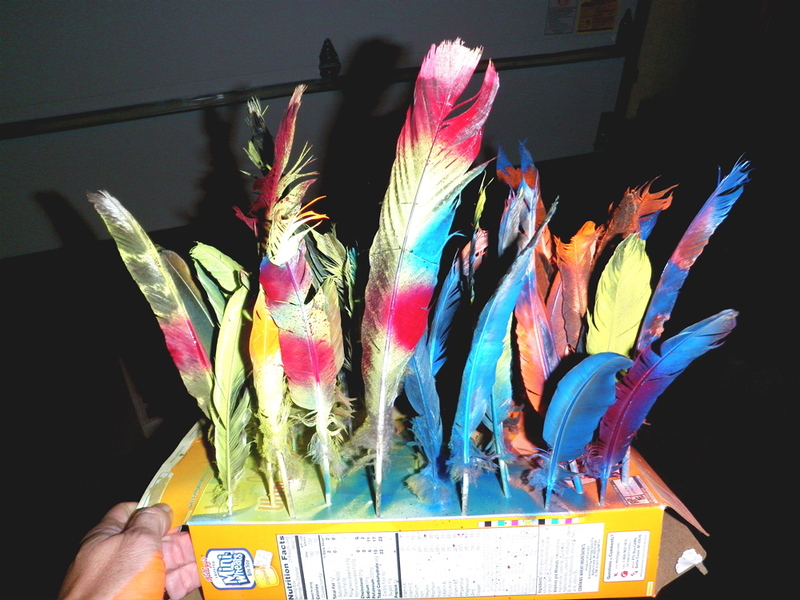 To hold the feathers upright and not have them blow away as I sprayed, I came up with the cereal box idea. 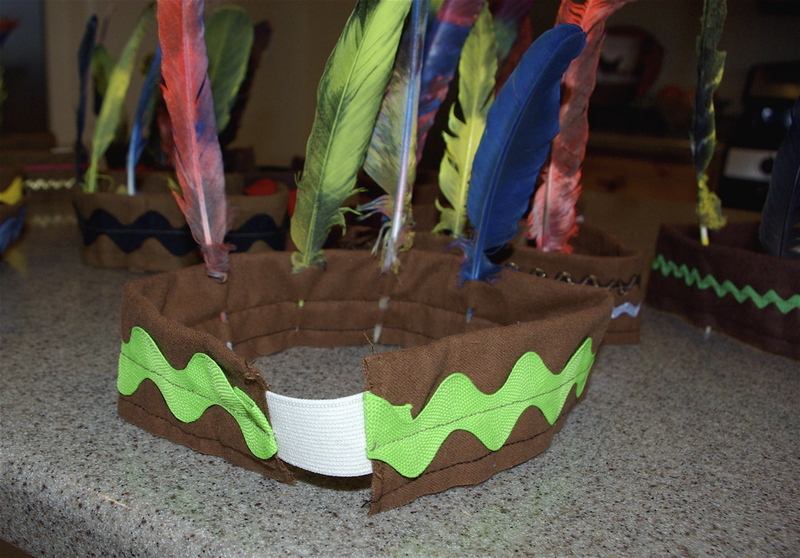 Lay an empty cereal box on it’s side, punch holes with a pen or knife into a grid pattern then insert feathers. Some colors worked better than others, brighter spray paint really stands out, even more so if you layer on the paint. I rotated the box as I sprayed different colors and didn’t worry too much about overspraying colors. 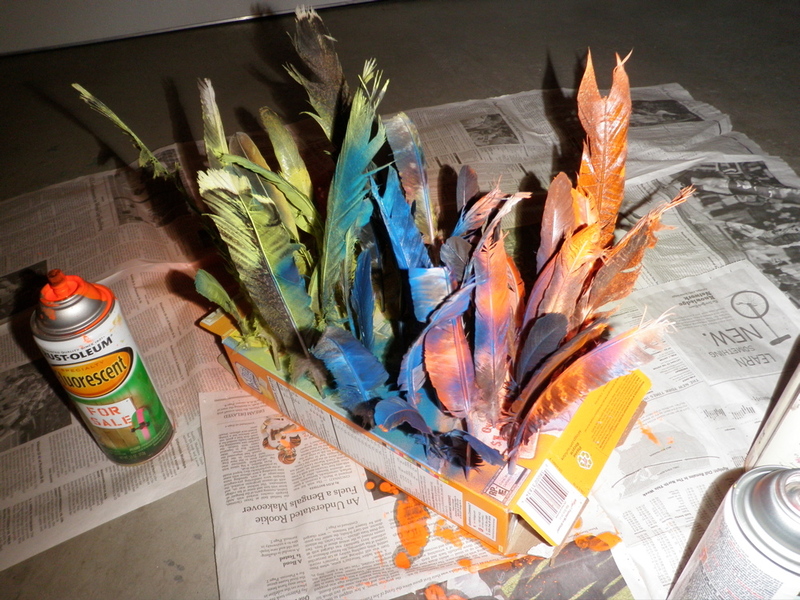 I added stripes a bit more precisely- by pulling out individual feathers and running the spray paint over the feathers at close range, then reinserting them in the box to dry. The piece of brown felt is 20″ long and 4″ wide, folded in half width wise. In the interest of time, I didn’t bother turning the seam, I just left the raw edge exposed. The green rick rack was just sewed down the middle on the front. 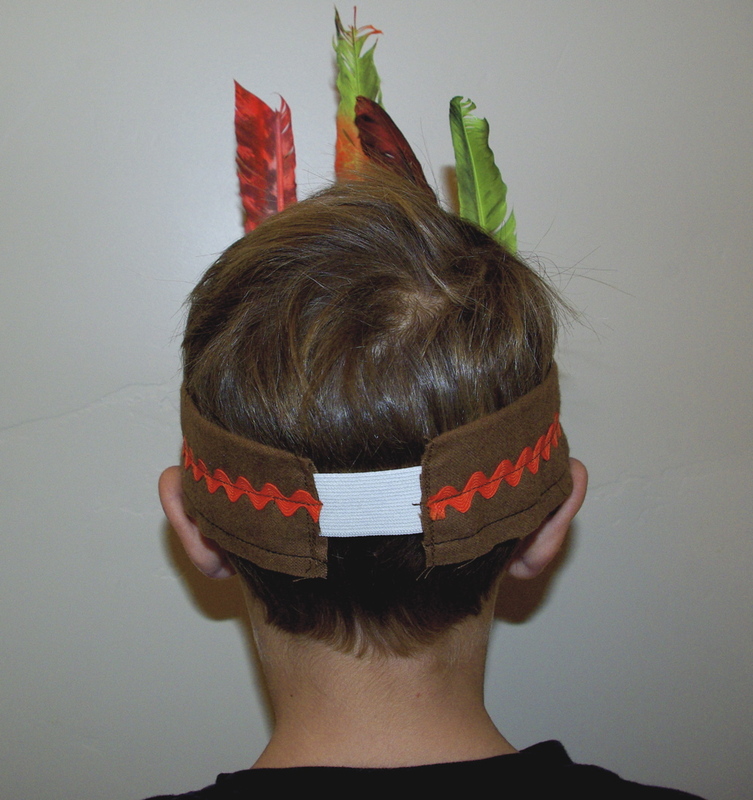 I added a swatch of elastic (3″ long piece) to the back so the headband so it would fit assorted 2nd grader heads. 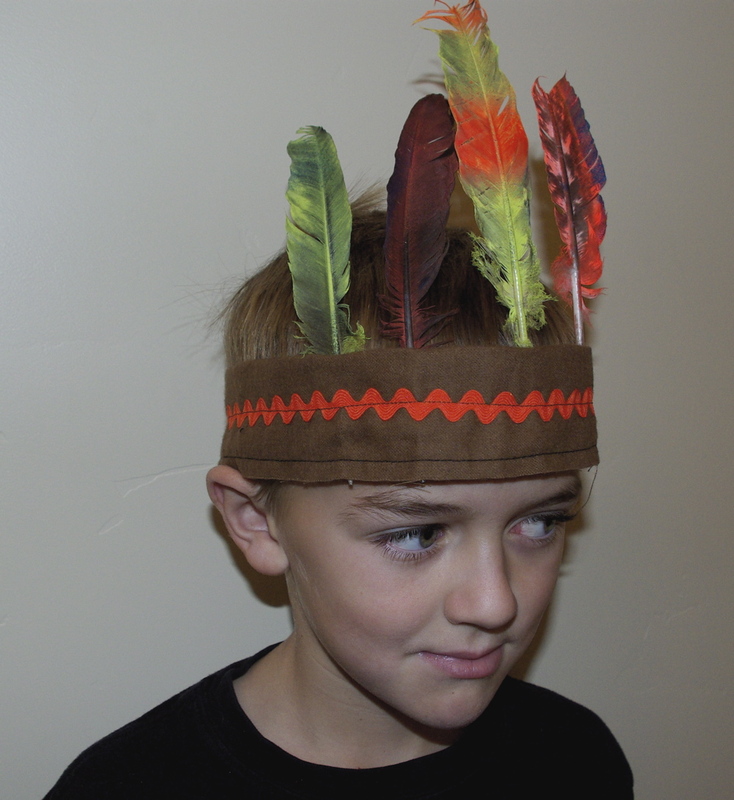 I cut tiny slits on the inside of the headband, just big enough to thread the bottom of the feather through a couple of times and hold it steady. I don’t think it was particularly comfortable, but you could add another layer of cloth tape or fleece to the inside (over the bottom of the feathers) if you so desired to make it more cozy. 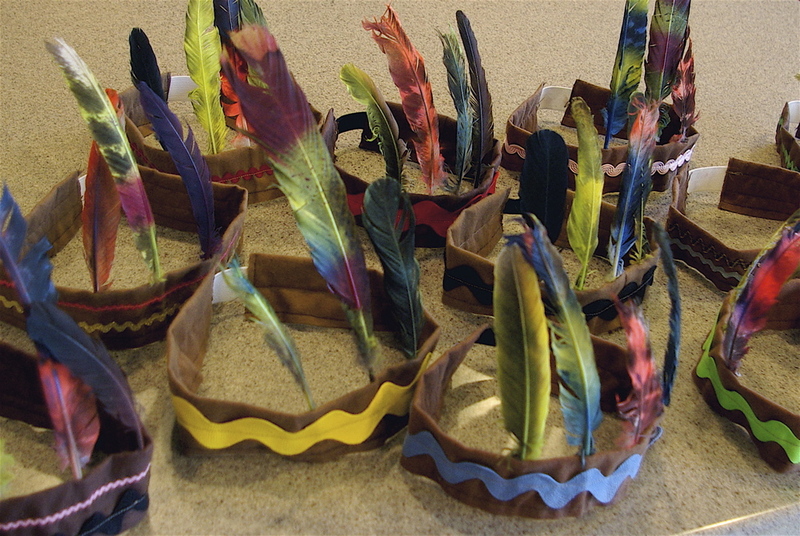 Assorted sizes and colors of rick rack (and feathers) really looked good together when all the native Americans lined up together on stage. 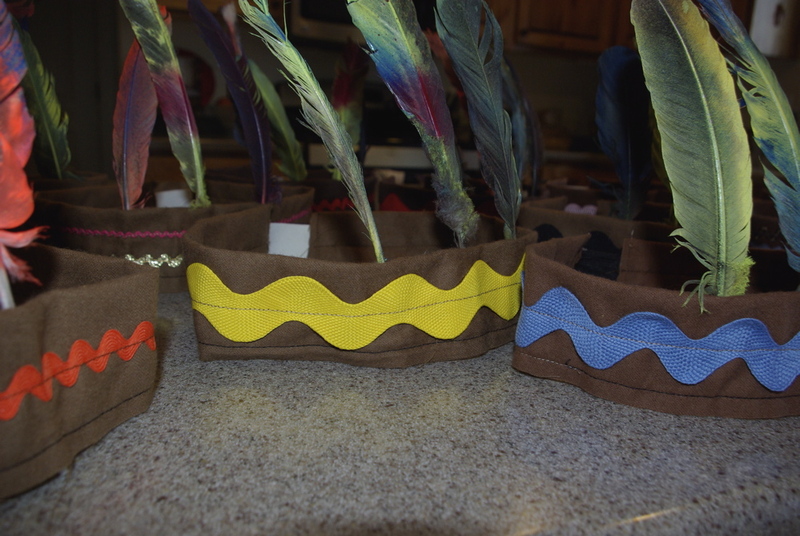 Check out my Native American Indian vest tutorial and Pilgrim Bonnet tutorial too.